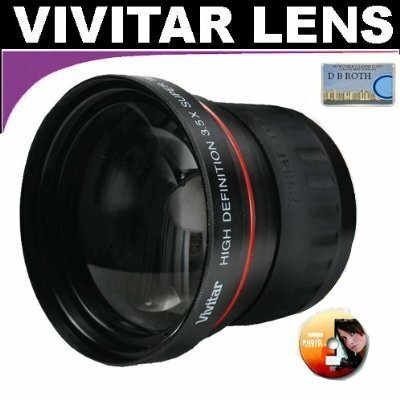 * 1) Vivitar Series 1 High Definition Wide Angle Fisheye 0.21x Lens - The Vivitar .21x Wide Angle Fisheye Coversion Lens is specially designed for high quality digital cameras and camcorders. The lens will effectively increase your camera's versatility, without loss of original picture quality. An essential tool for extreme sports and dramatic action shooters. The .21x Ultra Wide Angle Fisheye Converter Lens increases the versatility of your existing lens to provide breathtaking ultra wide angle views. And it's so easy to use! For your convince the lens comes with a lens pouch. + Bonus Photo Toolbox Software - Start creating compelling composites, posters, books & more, today!